What’s on your shopping list this holiday season? The Toke Tank Team has tracked down the best cannabis-related gift items that deserve a place under your holiday tree. Read on for the best weed products and finds, for all price points and lifestyles. 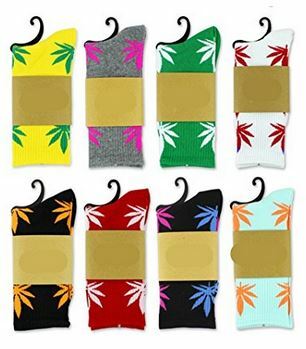 Rock your stoner swag with these fashionable high-top socks. They’re perfect for your favorite weed smoker who already has one of everything. Marijuana brings out the creative side in a lot of users. Sometimes the best thing to do is sit back, light up a bowl and break out the crayons. 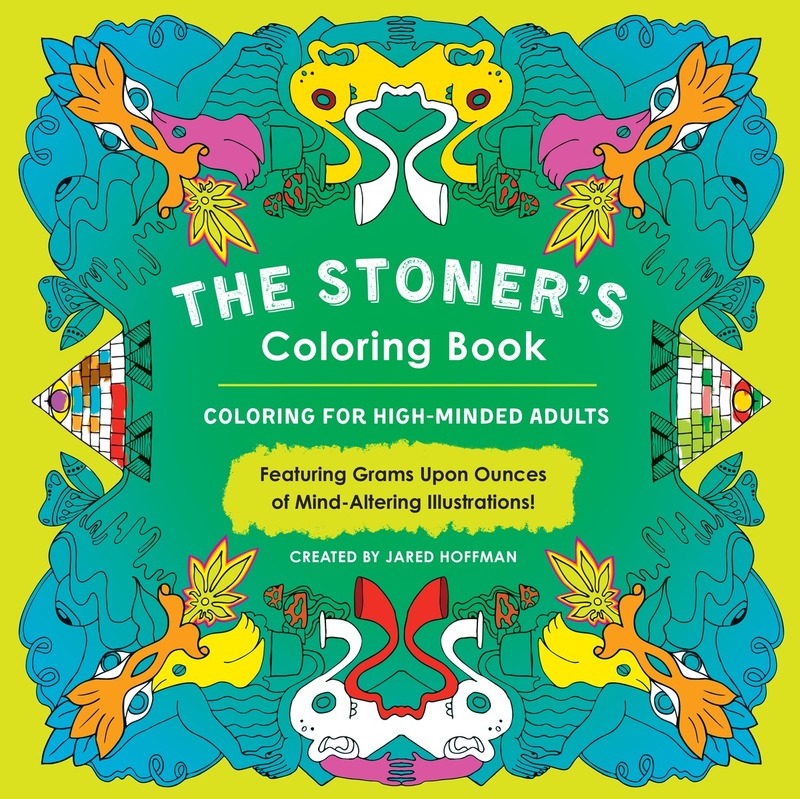 The Stoner’s Coloring Book has many great pages featuring a variety of mind-altering images for you to make your own. This book provides a fantastic way to release stress, scratch that creative itch and absorb the vibes of the universe. Buy it here. Cannabis has been around for centuries, and its spiritual nature is what draws many to the plant. 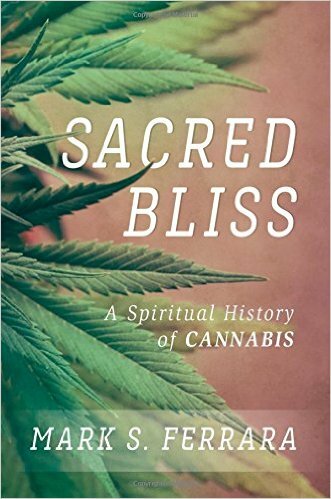 This new text, Sacred Bliss: A Spiritual History of Cannabis, by Mark S. Ferrara traces cannabis’ ancestry and examines its role alongside humanity throughout our evolution. From those who used marijuana for healing to those who use it as a recreational drug, this book provides a fascinating glimpse into the history of this special plant. Remember those glow-in-the-dark stars that adorned the ceilings from when you were a kid? 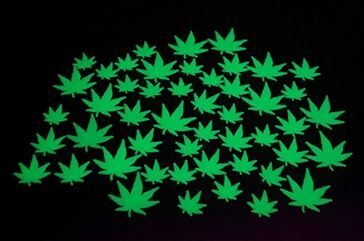 Relive the magic with the grown-up version: glowing weed leaves! 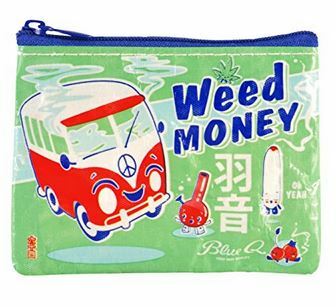 Keep your cash safe until you can refill your stash with the delightfully decorated “Weed Money” coin purse. See it here on Amazon. Board the train and play this game all the way through the space-time continuum. 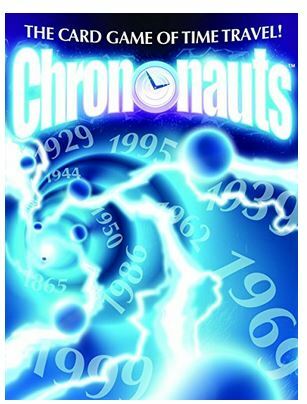 Chrononauts is a great experience for all of you looking to travel through time, change history and explore new paths. This simple card game allows you to go back to some of the key moments in history and change them, imagining what could have been. This causes a hole in time which you then have to patch to create a new version of history. Perfect for you and your friend who is always staring into space and saying things like “Wow duuuude”. Check it out here. 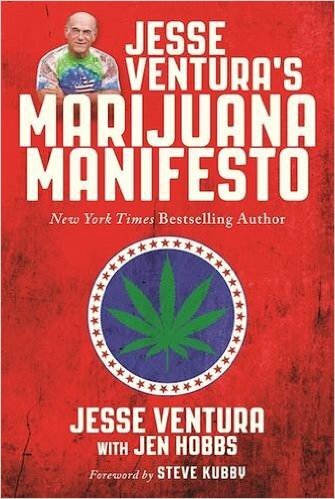 In this new book, Jesse Ventura sets his sights figuring out where marijuana fits into our society. The former governor of Minnesota, veteran, actor, writer and free thinker dives into the intricacies of marijuana legalization today. It’s a perfect gift for anyone looking to brush up on their marijuana knowledge. Get it here. Say you are about to have company over and you just finished a giant smoke sesh. You are going to want to banish that smell. Luckily, Reek Remover comes to the rescue! It is specially concentrated to destroy odors at the molecular level so your weed smell doesn’t linger, and it works hard to keep your space smelling clean and fresh without having to sacrifice getting high. Check it out here. Say you, a friend or family member wants to try medical marijuana to cure what ails them, but have no idea where to begin. This well done guidebook will walk you through the steps. It breaks down getting your MMJ ID card, finding a caregiver, explains different ways to use medical marijuana, proper dosages, popular strains and terms. 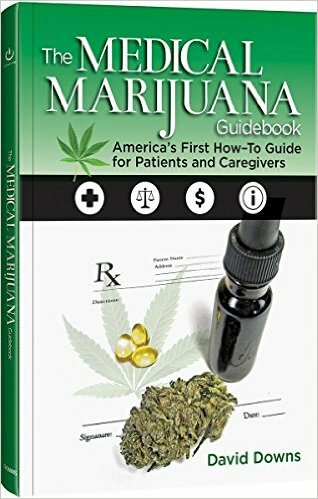 You will go from a novice to a confident medical marijuana user after reading this book. Find it here. Remember those magic tubes full of color and shapes!? Kaleidoscopes are an amazing way to kick back and relax. Light up your favorite strain and look through the magical tube of wonder. A Kaleidoscope would make a perfect gift for the stoner in your life. Check out bunch of them on Amazon. 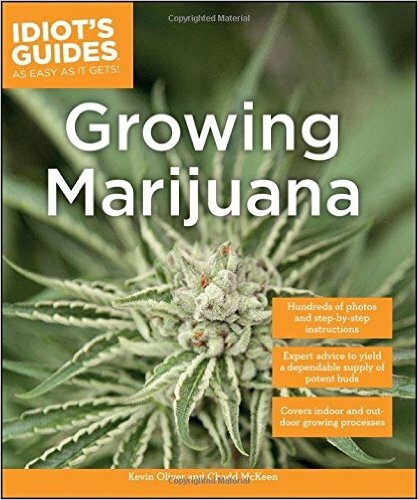 This step-by-step guide by Kevin Oliver and Chadd McKeen goes in-depth into growing marijuana. The high quality and detailed photos in this book will make growing our favorite herb easy for anyone willing to give it a go. Perfect for any DIYer, this is an easy to read and information filled how-to guide for growing cannabis. Get it here. Drinking games are abundant, but ganja smoking games can be hard to come by. 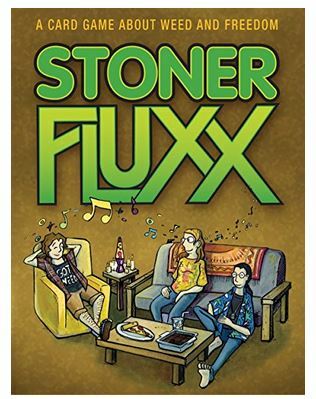 The Fluxx series has solved this lack of innovation by creating Stoner Fluxx. Gather your bong, weed and a lighter for victory. As with all Fluxx versions, every game is different. You are constantly changing the rules and objectives of the game while passing the pipe in between turns. But don’t worry about losing your place; the game layout is simple enough for even the couch-locked to remember the rules. It comes with an “It’s your turn” card so no one breaks the circle. Get it here. Everyone’s favorite cannabis magazine makes an awesome gift for the stoner in your life. Gift them a subscription and you’ll have tons to talk about, from marijuana policy to growing tips, lifestyle suggestions or even their hip new clothing line. Like a smooth breeze of wind through the trees, weed candies tend to sneak up on you and ride like a strong undercurrent through your day. 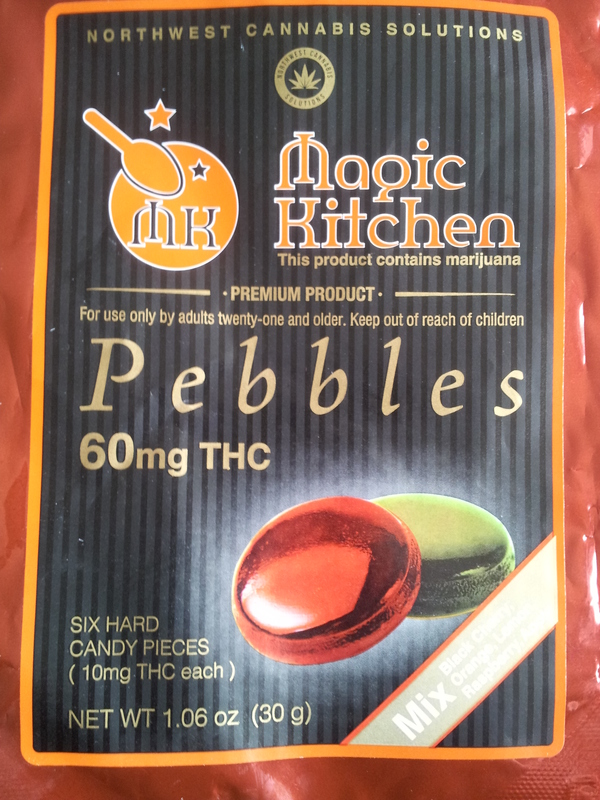 Sweet, silly and fun, Magic Kitchen Pebbles by Northwest Cannabis Solutions are an excellent, discreet and simple way to get a deep and long lasting high. No room is complete without breathtaking art. Transform your abode into an instant yoga studio, planetarium, house of worship or anything you desire with a wall hanging tapestry. See some cool ones here. 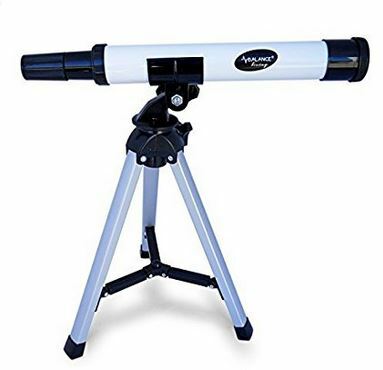 Gaze at the nighttime celestial bodies in a way you’ve never experienced them before with this easy to carry and use miniature telescope. Unlike larger, bulky telescopes, this will travel well with you during camping trips, road trips and backpacking excursions. See it here. Dr. Dabber really keeps our options open when it comes to vaporizers. Dr. Dabber Light vape is small enough to fit and hide anywhere; it’s a smaller and lighter version than Dr. Dabber’s Ghost. The Light does not sacrifice on quality or features of the vape. Small, sleek and technically advanced, this vape will pack quite a punch. What better way to ring in 420 than with a visual reminder? 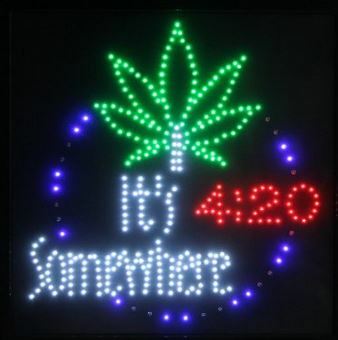 Hang the “It’s 420 Somewhere” sign on your wall and signal to your smoke buddies that it’s time to light up. Puffco Plus is a special kind of vaporizer that is perfect for those wanting a precision vape experience. Its coil-less technology provides the purest and most authentic flavor experience possible in a portable vape. It also includes a ‘sesh mode’ making it easy to use or share around your smoke circle. Bring your musical vibes around with you wherever and whenever you go with the EcoXBT. 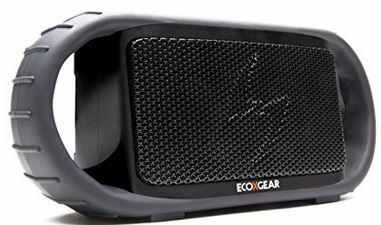 This waterproof, floating and durable speaker is loud enough and capable enough to bring the party with you no matter what. Easily sync it with any Bluetooth device to keep the beat bumpin’. Everyone could use a new vape! 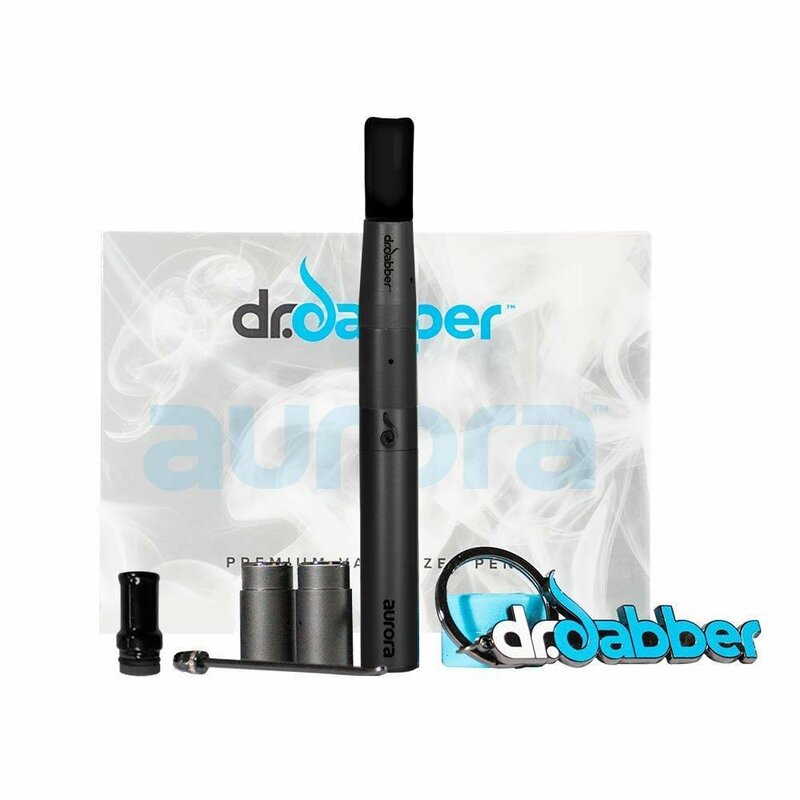 The Aurora has many features to let any weed enthusiast explore both their mind and their vaporizing experience. This vape gives you the option to change up the voltage, temperature and elements of the atomizer. It also snaps together easily with magnetic technology. 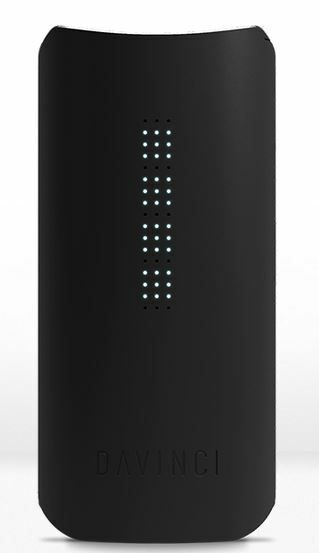 The sleek design and feel of this vaporizer will up anyone’s stoner game. There is a shortage of stylish smoking accessories for women; especially ones that help you stay discreet. Many women love to enjoy cannabis, especially since it can help reduce stress during a hectic work day. For those who want to enjoy the benefits of cannabis without anyone noticing the strong smell of their herb, Erbanna is for you. Some vaporizers are extremely hard to use and require multiple other tools and products. The Absolute Xtracts vaporizer pen is simple to use, and very user-friendly. Press on the back and breathe in until the red lights flash. The strains are powerful and long-lasting. Athletics can cause strain and stress to your muscles, leading to a deep ache after a successful workout. 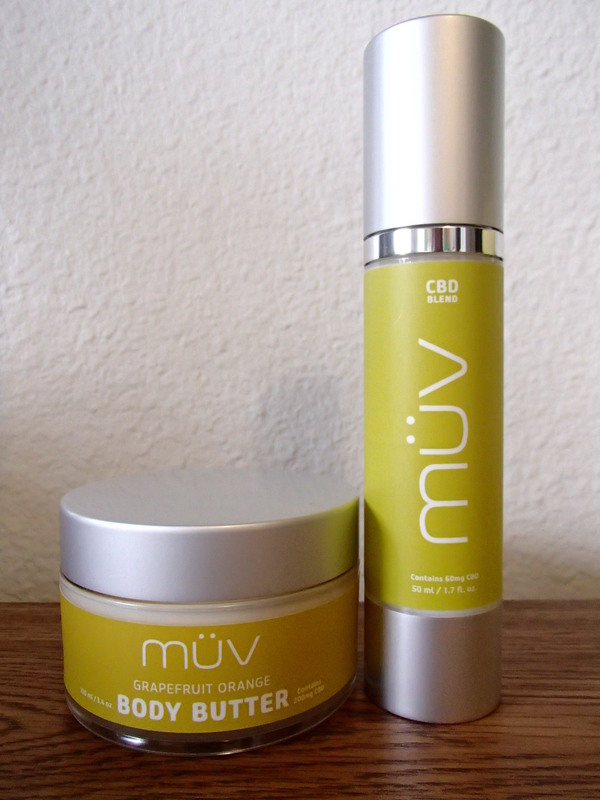 Luckily, MuV’s CBD products have come to the rescue! The hemp-derived CBD helps to nourish your body in ways that it needs it the most, allowing you to feel more comfortable after activities. With an amazingly futuristic design and a powerful punch, Cloudious9’s Hydrology is a necessary inclusion in your stoner arsenal. Incredibly, it provides the satisfaction of both a vaporizer and a bong! Its clever design allows you to easily fill the chamber with water and ground herb; with a few clicks of the button and some very captivating light displays, you’ll be able to watch you vapor cool on its way into your lungs. Five color settings indicate your desired temperature, making it perfect for those who have all kinds of vaporizing needs. Just remember: a green light means go. 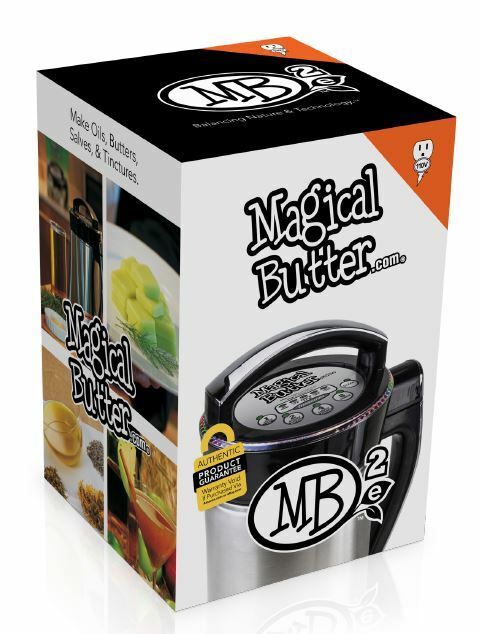 No longer will you have to spend hours double-boiling, stirring and monitoring your weed butter when making delicious edibles – the Magical Butter machine does the hard work for you! Simply decarboxylate your herbs, add the butter, plug the machine in and voila! Simple, effective infusions, perfect every time. 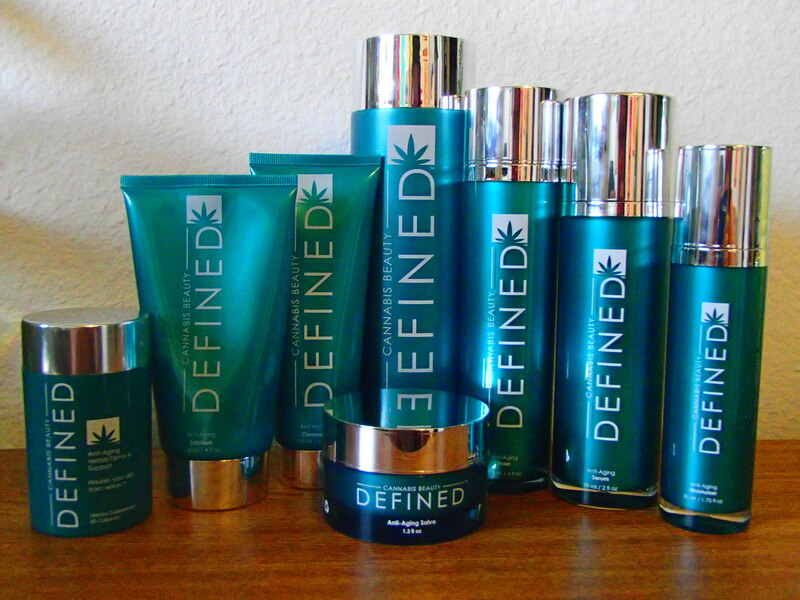 Every sophisticated smoker needs to have products that fit with their lifestyle; weed-smoking women are no exception. 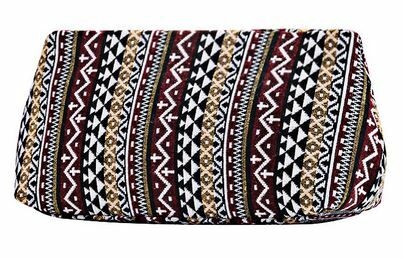 Annabis saw this need and has created a beautiful line of female-friendly purses, bags and backpacks that are lined with odor-control technology, so you don’t have any embarrassing weed-related accidents while you’re out and about. 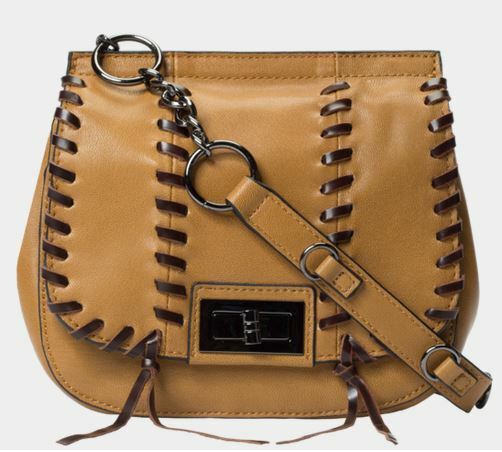 Essential for any female who loves her weed, and loves her fashion, too. Check out Annabis’ awesome selection here. With a big battery and energy saving technology, the Pax2 will keep you going through any adventure. Its slick design makes smoking discreetly both easy and classy. This vape has four different temperature settings to curate your optimal smoke. It also has a party mode feature where you can pass the peace pipe around with your buddies. Grind it up, pack it in, press the button and you are in gear. Get it here. Health, wellness and eco-conscious shoppers should seek out companies who truly believe in quality and sustainability both inside and out. 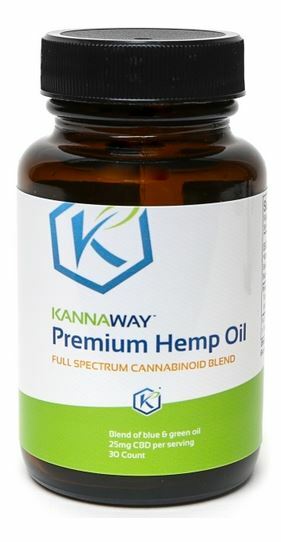 Available in both capsule and liquid form, Kannaway’s Premium Hemp Oil nourishes your body from the inside out. 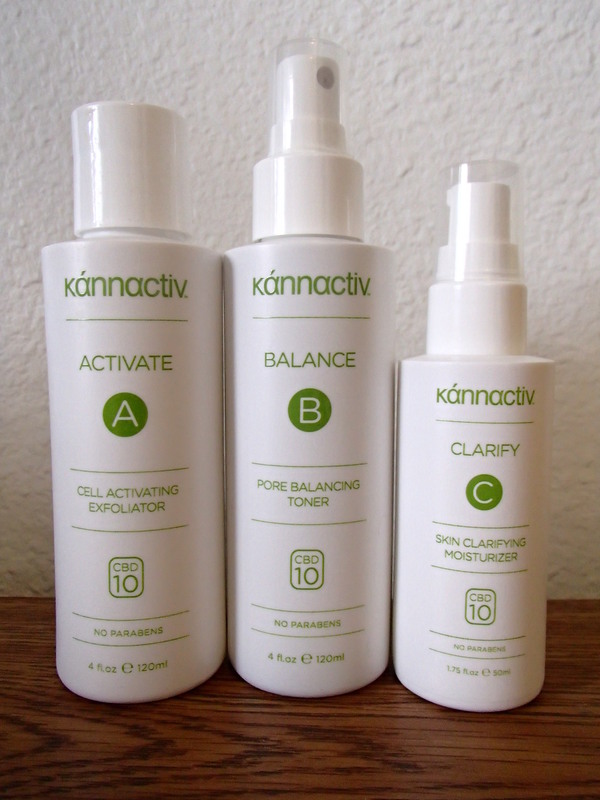 It makes adding a cannabinoid supplement to your routine simple and unobtrusive. Your phone hooks up to Bluetooth, as does your computer, speakers, smart watch and now, your vaporizer! DaVinci’s IQ Vape is as precise as they come. With a temperature control ranging from 250-430 degrees Fahrenheit, this vape allows you to heat your ground herb to the optimal temp. The Bluetooth controls allow you to track usage and favorite settings over time, allowing the vape to get to know you and your personal style. Looking for a discreet, durable vape with a large holding capacity that is versatile enough to use with both flowers and concentrates? Look no further. Being much smaller and lighter than the Firefly1 allows this vape to fit into any scenario while keeping the high durability and large chamber capacity of the Firefly tradition. A perfect gift for the smooth stoner in your life or a great gift for yourself; it will surely be a new staple of your cannabis arsenal. Check it out here. Stoners are sure to love these picks this holiday season. What’s on your holiday gift list?